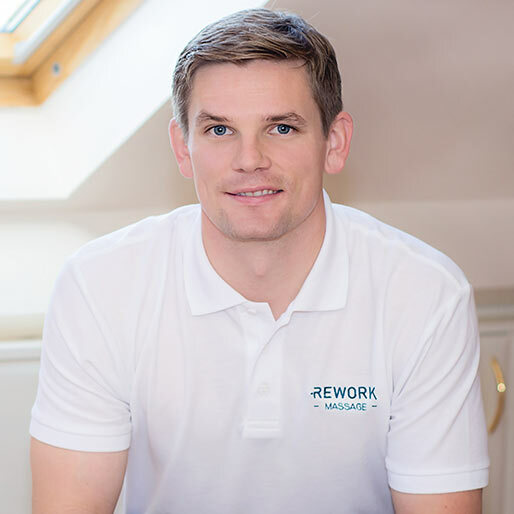 Rob Watkins (LSSM (Dip) Level 5 Sports & Remedial Massage & Level 1 Certified Fascial Stretch Therapist) launched Rework Massage in October 2015. An ex-professional footballer at Fulham FC and a keen golfer, Rob himself has first-hand experience of how soft tissue massage can benefit not only your sporting goals and potential, but also your overall wellbeing and energy levels. Rest assured that sports massage is not just for the professional athlete. Our clients range from hairstylists and bricklayers, to taxi drivers and office workers. Relieving the everyday aches and pains caused by poor posture or repetitive strains can have a noticeably positive impact on your lifestyle. A deep tissue massage aimed to eliminate muscular dysfunctions. Realigns the fibres, improves flexibility. An assisted stretching technique designed to target the body’s joints fascial system. It also help relax and re-educate the nervous system. The skin is drawn upwards through suction in a cup, over a targeted area. Effective to soften tight muscles and stimulate circulation. Following treatment, we can give advice on muscle strengthening or exercises, to aid your soft tissue dysfunction.